We are looking for an experienced, motivated and enthusiastic advanced Occupational Therapist to join our inpatient team at The Royal Shrewsbury Hospital. 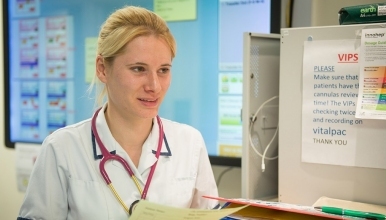 You will be part of the inpatient acute team supporting the assessment, treatment planning and discharge process of patients across a variety of wards. You will work closely with the wider multi-disciplinary team therefore excellent inter-personal skills are required as well as working with the Therapy Team Co-ordinators and other members of the therapy team. The therapy team is friendly and supportive and comprises of Therapists and Support Workers who enjoy their work and strive to offer the best possible patient care. We are looking for someone who is flexible, has good management and leadership skills, who can work well in a team as well as independently. You will work alongside the present part time band 7 to provide clinical leadership, supervision and appraisals to your band 6 and band 5 Occupational Therapy colleagues, offering support and advice to the Therapy Support Workers. The Occupational Therapy staff have a robust clinical supervision structure and attend relevant training within the Trust and externally. The team, and this post holder, would be expected to mentor students by being a practise educator linked to Coventry University. The Therapy department are working towards being at the forefront of innovation in leading the way by undertaking development and service evaluation utilising the Virginia Mason Institute (VMI) methodology and Lean practise. The Trust is one of only five Trusts in England to be affiliated with the VMI based in Seattle, USA. We would welcome any interested person contacting the department for a discussion or to arrange a visit prior to applying or interview if shortlisted.